OMG!!! I just finished delivering my first-ever Intuitive Art for Beginners class, and it was seriously sooo much fun to watch the light bulbs go on, and to see people feeling satisfied and inspired by the answers their received from their drawings!!! If you didn’t get a chance to join us live, you can catch the replay below (audio gets better after the first couple minutes). AND, several of those who attended asked how they could GO DEEPER and learn more about this Amazing method of connecting with your Higher Self, so I promised to send out the links! If you’d like to use Intuitive Art to access your highest calling AND get a to do list of action steps from your Higher Self, I invite you to check out Rachel Archelaus’ Soul Focus Method. Rachel is the creator if Intuitive Art, and an incredible teacher! What is the Soul Focus Method? Sound like what you NEED?!?! CLICK HERE for Details! AAAAND, at least one participant (Jen) on today’s Intuitive Art for Beginners class was so taken by the method, she was inspired to become a Certified Intuitive Artist herself!!! Thanks sooo much to those of you who were live on the call! It was So. Much. Fun!!! 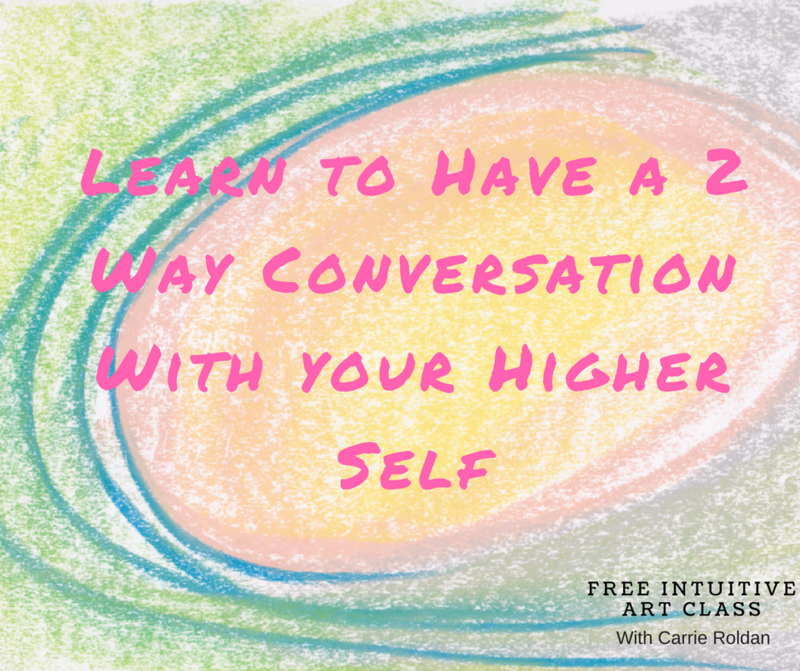 !I love that you guys now have quick and easy way to have a 2 way conversation with your Higher Self! And if you need anything at all, please don’t hesitate to reach out! Helping entrepreneurs to co- create their dreams….or something better!